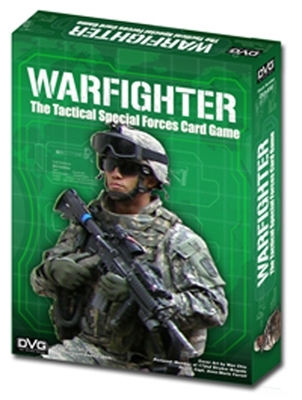 Warfighter is a card game for 1 to 6 players. You play cooperatively with your friends against the system to complete present day squad-level combat missions. At the start of each mission, you each select a soldier, equip him/her with skills, weapons, and combat gear within the mission's Resource limit. Warfighter uses a new combat system that takes into account the fire mode you select for your weapon, range, running out of ammo, suppression, and cover - all in the same dice roll! This system creates an incredibly deep narrative with every attack.